Moonrise Kingdom – Edward Norton, Bruce Willis, Tilda Swinton and Bill Murray star in writer-director Wes Anderson’s latest film. The story centers on two 12-year-olds who fall in love at summer camp in 1965 and run away together. The film opens on May 25th. 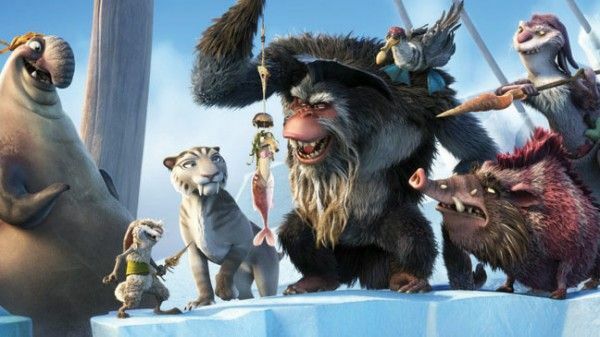 Ice Age: Continental Drift – The fourth film in the Ice Age franchise follows the prehistoric characters during the breakup of Pangea and the splitting of the continents. The film opens in 3D on July 13th. Great Hope Springs – Meryl Streep and Tommy Lee Jones star as a married couple seeking a weekend of counseling from a therapist played by Steve Carell. The film opens on August 10th. 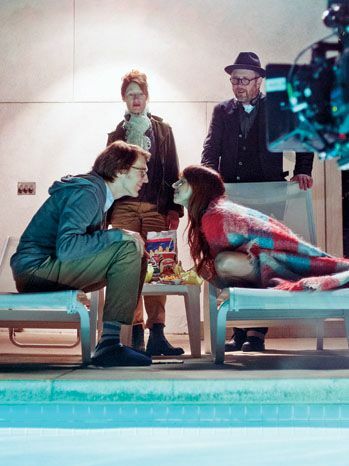 Ruby Sparks – Directors Valerie Faris and Jonathan Dayton’s long-awaited follow-up to Little Miss Sunshine stars Paul Dano as a creatively blocked, once-great novelist who writes his dream girl (Zoe Kazan) who then comes to life. The film opens on July 25th. Hit the jump to check out the new images. Images come courtesy of THR. 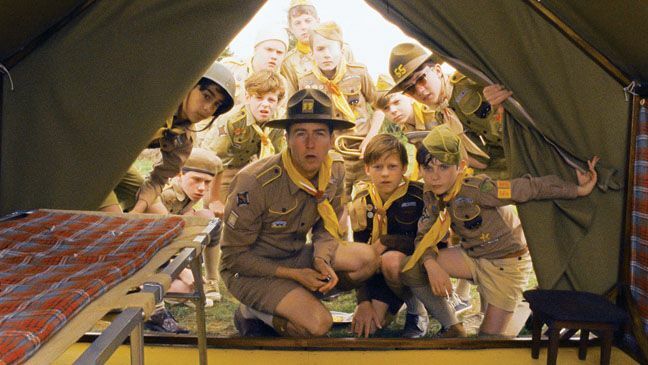 “Moonrise Kingdom” is the new movie directed by two-time Academy Award-nominated filmmaker Wes Anderson (“The Royal Tenenbaums,” “Fantastic Mr. Fox,” “Rushmore”). Set on an island off the coast of New England in the summer of 1965, “Moonrise Kingdom” tells the story of two 12-year-olds who fall in love, make a secret pact, and run away together into the wilderness. As various authorities try to hunt them down, a violent storm is brewing off-shore – and the peaceful island community is turned upside down in every which way. Bruce Willis plays the local sheriff, Captain Sharp. Edward Norton is a Khaki Scout troop leader, Scout Master Ward. Bill Murray and Frances McDormand portray the young girl’s parents, Mr. and Mrs. Bishop. The cast also includes Tilda Swinton, Jason Schwartzman, and Bob Balaban; and introduces Jared Gilman and Kara Hayward as the boy and girl.